A third year teacher who wants to differentiate and help children meet their goal of excelling. I have a masters in reading and is a certified K-6/ESOL teacher, with ESE training also. I have taught an inclusive kindergarten class, third grade for 2 years and 2nd grade for a year. Will work one-on-one and cater instruction to each child's needs. I have my K-6 teachers certification and I am also ESOL certified. I have a Bachelor of Science degree in Elementary Education K-6/ESOL. I am certified up to 2016. 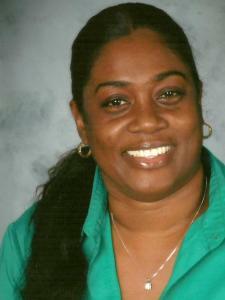 I am certified as a K-6 elementary teacher and K-12 reading instructor in the state of Florida. I am an elementary K-6 teacher with ESOL certification. I have taught, kindergarten, 1st, 2nd, 3rd and high school. I have a masters in reading. I am a certified Reading K-12 teacher. I have had a Master's of Science in Reading since December, 2010. I have worked with ADD/ADHD students throughout my 10 years in teaching. As a teacher who has been certified by Florida with Exceptional Education fro grades 1-12. There are several strategies that can be employed to aid and enhance learning experiences for these students. It is always best to determine student's learning style and use differing techniques to garner learning potential. She is very punctual and patient, ensures that the student understands before moving on to the next problem, very knowledgeable. Good with children. She came in and sat down with each of my children and evaluated their current abilities. I look forward to see my children improve in reading. Elaine L. is an excellent tutor! My son went from dreading reading to reading at least 4 books a day. He's excited to go to his sessions and really enjoys progressing his reading skills. Thank you for all your help, Elaine shows patience and understanding. She is knowledgeable and teaches step by step of the material on hand. With her help I'm sure I'll be able to pass the GED test. I look forward to each one of her lessons.